Prepare for and manage the physical stresses of caring for a newborn. ﻿Bring more joy, energy and fun into pregnancy & parenting. 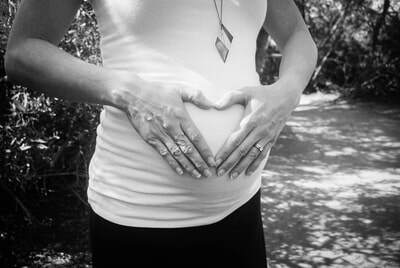 Pre-Natal services include exercises to help manage the physical changes and postural shifts that come with pregnancy. Sessions are customized to your needs using a mix of corrective work, pilates, foundation training, and birth-specific exercises to help encourage a healthy pregnancy, smooth delivery, and a speedier recovery postpartum. All exercises teach efficient use of your body by building it up rather than breaking it down. Post-Natal services include home visits and in-studio sessions to manage the physical stresses that come with caring for a newborn. 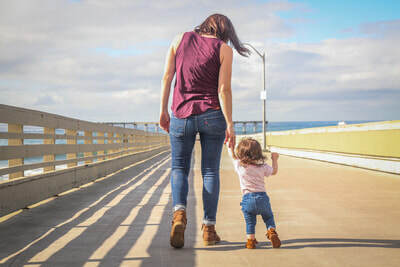 Together, we will identify areas to prevent chronic use injuries, manage the inevitable stresses with prACTical self-care tips you can apply to daily life moments, and learn exercises to help rebuild your foundation so that you can enjoy the magic and wonder of caring for your baby with less pain and more energy. - Recognize elements you can control and apply preventative measures to limit the physical stresses of caring for an infant. - Manage the inevitable by reconnecting with your body and applying techniques to help reduce further breakdown. - Rebuild your foundation to develop functional strength, relieve pain, and reach your health and fitness goals as a new parent. "Last night's session was perfect and my muscles are very happy!" - Jackie N.
"Robin is a dancer and her understanding of movement is incredible, way better than any trainer I've worked with before. She will point out things about the way you hold yourself that you didn't even know you were doing. Her focus on postural alignment seems to be the key ingredient: start with posture and breath training through very deliberate and specific movements and go from there in whatever direction you wish. Definitely planning on keeping on this program for the long haul!"